Fiddle-Dee-Dee Designs: 9/6/17 | NEW! 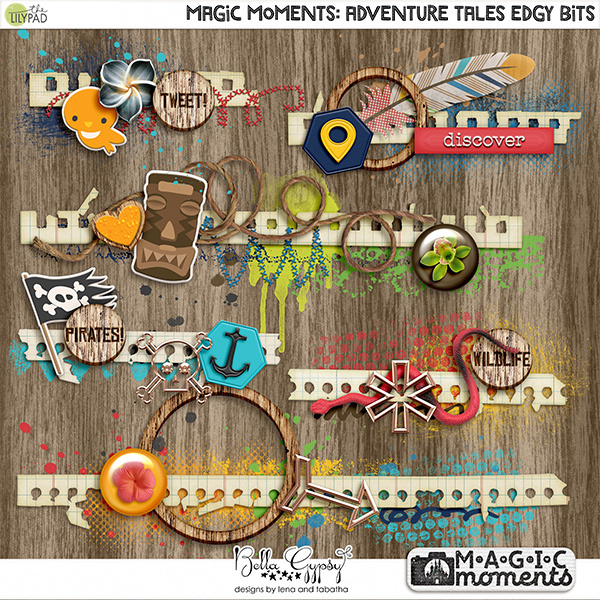 Magic Moments: Adventure Tales Templates | 50% Off One Day Only! 9/6/17 | NEW! 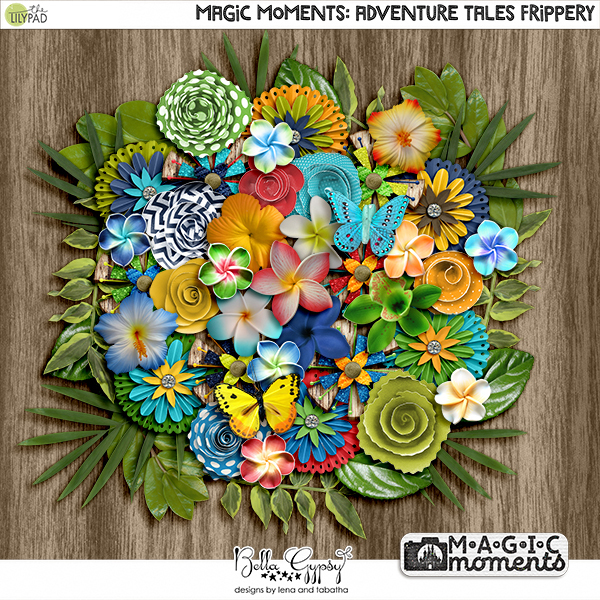 Magic Moments: Adventure Tales Templates | 50% Off One Day Only! 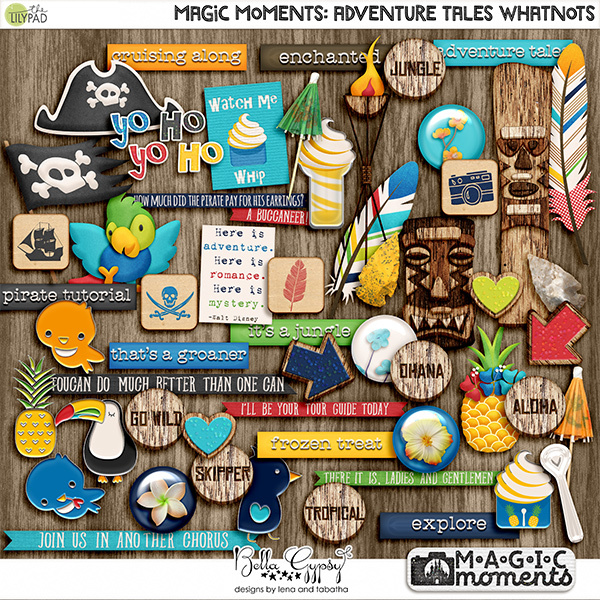 This week, in addition to the new sets I showed you in my previous newsletter, you'll find a new Magic Moments template set! 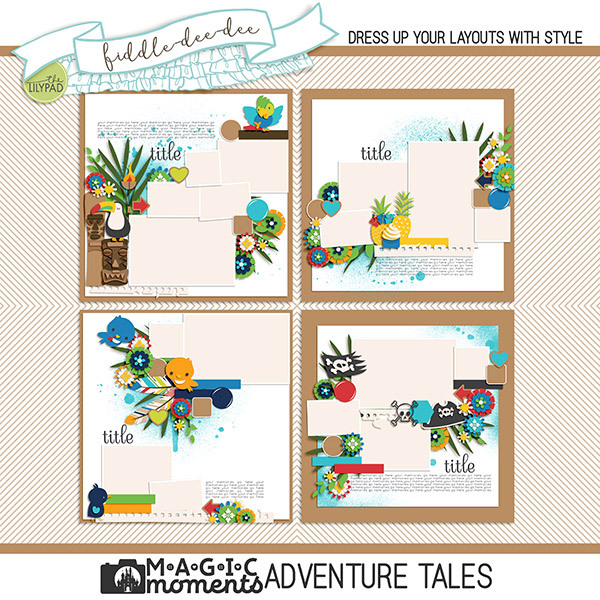 Magic Moments: Adventure Tales Templates are designed to coordinate with the Magic Moments Adventure Tales Collection by Bella Gypsy. In Adventure Tales, you can try loads of adventures. You can explore the jungle, sail the high seas, grab a sweet pineapple treat, and visit a magical place where birds talk and sing. 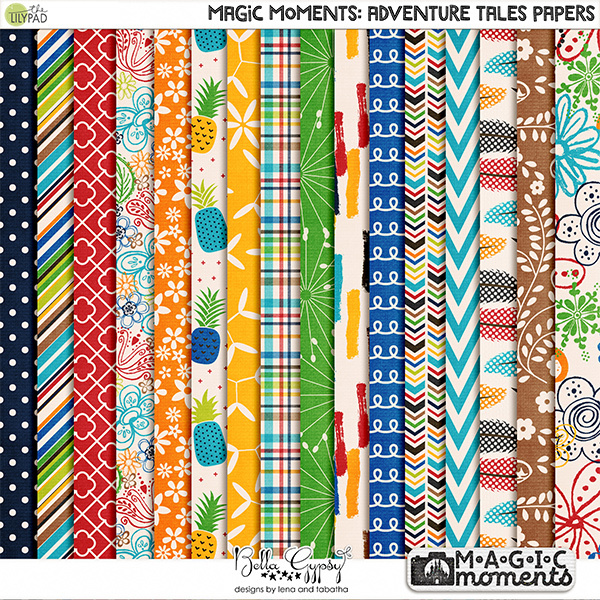 Don't forget to grab the Magic Moments Adventure Tales Collection while you're in the store!